We end the First Round with a matchup between two musicians, Isaac Watts and Catherine Winkworth. Naturally, we’re calling this the Battle of the Bands. Watts was a prolific Anglican hymn writer whose greatest hits catalogue would be well known to church goers. Winkworth, also a Brit, is credited with bringing the German chorale tradition to the English-speaking world. Yesterday, Martin de Porres trounced John of Beverley 84% to 16% and will face Dymphna in the next round. Isaac Watts, famously thought of as the father of English hymnody, was born in Southampton, England, on July 17, 1674. Whereas many English people were members of the Church of England, Isaac’s identity as a Nonconformist shaped his vocation and ministry. He received a classical education in Latin, Greek, and Hebrew and demonstrated a proclivity to rhyme at an early age. As he grew older and progressed in his studies, he was offered a scholarship to study at Oxford or Cambridge as a candidate for ordination in the Church of England. He refused this opportunity and chose to study at the Dissenting Academy at Stoke Newington. He was ordained as a Nonconformist minister in 1702 and served a congregation in London for ten years. In addition to hymns, Isaac wrote a textbook called Logic. The full name of the book likely did not fit on the cover: Logic, or The Right Use of Reason in the Enquiry After Truth With a Variety of Rules to Guard Against Error in the Affairs of Religion and Human Life, as well as in the Sciences. The book defined logic as a practical art and became a standard text in universities and among philosophers. Isaac spent the last few decades of his life largely out of the public eye because of health complications. He continued writing sermons and hymns as well as writing on less religious topics such as the English language and logic. He died in 1748. God of truth and grace, you gave Isaac Watts singular gifts to present your praise in verse, that he might write psalms, hymns, and spiritual songs for your Church: Give us grace joyfully to sing your praises now and in the life to come; through Jesus Christ our Savior, who lives and reigns with you and the Holy Spirit, one God, for ever and ever. Amen. The pun was sent to the humor magazine, Punch, and became a meme that traveled through history. Catherine’s cleverness continued to serve her well in her calling. She translated hundreds of German hymns into English and introduced English audiences to the German chorale tradition. She labored to make sure that the translated songs retained the poetry, rhythm, and meaning of the originals. 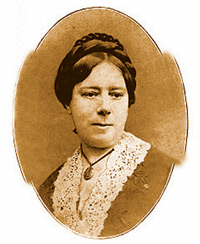 In 1852, Catherine began to work among the poor in the Sunday School and District Visiting Society. This society gathered volunteer teams to visit poor people in their homes to provide help and comfort. Long after she left this work, Catherine received letters from the people she met and helped. Her compassion was evident in her translation of biographies of founders of sisterhoods for the poor and sick: Life of Pastor Fliedner and Life of Amelia Sieveking. Winkworth not only served people who lived in poverty, but she also had a passion for women’s rights and advocated for higher education for women and girls. In 1878, Catherine went to care for her nephew, who was disabled. Soon after, she had a pain in her heart and died within an hour. Comfort your people, O God of peace, and prepare a way for us in the desert, that, like your poet and translator Catherine Winkworth, we may preserve the spiritual treasures of your saints of former years and sing our thanks to you with hearts and hands and voices, eternal triune God whom earth and heaven adore; for you live and reign for ever and ever. Amen. 202 Comments to "Isaac Watts vs. Catherine Winkworth"
As a descendant of English Non-Conformists, I had to go with Isaac! This was a tough decision, but as a proud Episcopalian I had to go with the father of British hymnody. Go Isaac!! I figure that Watts will win this one — after all, who can deny the composer of “Joy to the World”? But I voted for Winkworth anyway, as a smart, sharp woman who pursued a life of service to the poor, the sick, and to women’s education and rights. Yes, Watts is awesome, but her service to the poor made Catherine my choice for today. This sealed the deal for me. I wish I had that sort of wit. Brilliant pun did it for me, too! I believe that if there is nothing more that I gain from LM this Lent, peccavi will be more than sufficient. Of course it is not the only thing that I have gained so far this LM. Kappa Waugh I have to agree with you. Diane Waugh. Ps. Could we be related? So few Waugh’s out there! My reasoning is along the same lines. I’d like to see Catherine advance so more people learn of her. Let her works be as well known as Isaac’s! I quite agree with my sisters of faith on this one. While Watts had almost had me with “Joy to the World” and the fact we share birthday (he does have a few years on me!!). However, Winkworth gave the English speaking world a new genre of singing as well as helped the poor and, most importantly advocated for higher education for women and girls. You have persuaded me. Winkworth it shall be. Happy to learn about Catherine, but Isaac Watts wrote way too many of my favorite hymns and singing is my preferred way to praise and pray! Catherine with the long face. I dare say that Isaac has an equally long face in his portrait. Another difficult choice. Catherine won my vote because of her work among the poor, her love of German chorales, and especially her unforgettable pun. Saints just wanna have puns. My decision making process exactly. I’m with you and your thoughts! Catherine, if only to raise knowledge of her life by continuing to the next round. Indeed! Catherine for the pun, her contribution to our music tradition and her work with the poor. Humor is a saving grace! Exactly! And yet, having just sung When I Survey at our diocesan convention and with Holy Week close upon us, when it will be sung again and again, It’s Isaac today for me. 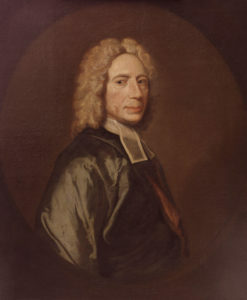 Isaac Watts, the greatest of all English-language hymn writers. He has had a greater impact on the church than most (but not all) of his fellow Round of 32-ers. Yes, he’s my pick for the Golden H. Go, Issac! My choice, too, Ken. Original hymns and prayers, a foundational work on logic, commitment to principal – too much evidence in support of Isaac. The “peccavi” pun is cleve but didn’t sway my vote. Thank you! Oops – meant “principle”. Need to pay more attention to autocorrect! But what about Charles Wesley, who wrote thousands of hymns? I voted for Isaac because – well – “Joy to the World” – Don’t need to say more. Mr. Watts wrote hymns of comfort and joy…”My Shepherd Will Supply My Need” and “Joy to the World”. He get my vote today. Favored Catherine for challenging British imperialism in India and getting her hands dirty in working with the poor. Catherine Winkworth brings together both lines of my ancestry: German and British. She also shares a name with five members of my family. But her work with the poor and her advocacy for women’s rights, as well as her scholarship and contribution to our hymnals are what swayed me today. As an avid user and lover of puns, I had to go with Catherine here. Plus all the other stuff she did was pretty awesome too. “How doth the little crocodile improve his shining tail, by pouring waters of the Nile on every golden scale.” I did not know the author of the original; this is one of Lewis Carroll’s parodies! Thanks for the smile this snowy morning. I’ve always thought of “How doth the little crocodile” as sung to William Billings’ tune for “Methinks I see a manly host of angels on the wing.” If I knew how to attach a video, I’d hum a few bars. Isaac Watts, because anyone who uses logic to avoid error when it comes to religion, is okay by me. Winkworth got me reading and ever-fascinated with the fine print in the hymnal: who wrote the words for the tune? As a little Cathy, I thought she was winking at me! Now grown and going by my given name, Catherine, I still go to the credits and smile whenever a woman’s worthy work shows up! It was a no-brainer to me as well, but I voted for Catherine Winkworth. In her shorter life, she not only had a significant impact on English and therefore American music, proved herself to be a poet and linguist who could translate beautiful words and sentiments beautifully, but was also a compassionate advocate for the poor and an activist to boot. I love music, words and ACTION. This year’s round of 32 has been so full of horrible hard choices that I have ended up just thinking of my morning vote as an extension of my alarm clock – if my brain isn’t working yet, it sure will be when I’m done with all this thinking. I usually come down on the side of earthly service, and women and the poor will get my vote on an ordinary day, but I have to declare today extraordinary and let my musician self have the last word. Watts was a great hymn writer, but Catherine not only introduced the great German music form to the English with her wonderful translations. But she also was a great servant to the poor and stood up for the rights of women and girls, including the right to education. So she gets my vote. Joy to the world also gets my vote for Watts. I feel like I’ve known Isaac all my life. Started playing the organ for a small church before I could reach the pedals. So many wonderful hymns, but only one vote for my friend! Close, but joy to the world is my favorite Christmas carol so Isaac it is. Catherine not only was witty, she was a benefactor of the poor. Plus I am enjoying promoting some of these lesser known saints! From “Joy To The World” to ” When I Survey The Wondrous Cross” it’s Isaac Watts for me! Me too! These two are in my “top 10 hymns”. We even used Joy to the World as the recessional at my father’s funeral. Catherine Winkworth translated the hymn “Now thank we all our God.” This could come down to a contest between “Joy to the World” and “Now thank we.” The choices have been very difficult this year, but what a great opportunity to learn about those Holy Men and Women who have been great witnesses for our Lord Jesus. Right now they are neck and neck. I wonder what the SEC would do with a tie. Draw lots, maybe? I love puns, and I grew up on that one, but Isaac got my vote. I voted for Catherine because without her some of my favorite hymns would not be available to English-speakers: “Praise to the Lord! The Almighty, the King of Creation,” “Now Thank We All Our God,” “Comfort, Comfort Ye My People,” and “Blessed Jesus, at Thy Word,” just to name a few. I like all of the hymns that you mentioned plus Open Now They Gates of Beauty! would you choose Handel’s Messiah or Bach’s B Minor Mass? Or, neither of the above…. Isaac Watts’s hymns are spectacular, but the metrical Psalter balances that out. Catherine Winkworth’s work with the poor and for women’s rights in addition to what she did for church music wins the day for me. Having been raised in The Missouri Synod Church where I attended first through eighth grades, Catherine had to get my vote. And then there is her support of education and women’s rights. Pardon the dangling modifier. I got a new hip on Monday and am still a bit woozy. Dangle ye modifiers while ye may. What dangling modifier? I’ve read your comment through five times and can’t find it. I wouldn’t know it if fell over it. Along with a lot of other people. No comparison intended, Gay; your dangler was artful. No, no, no, I didn’t mean THAT; but what I have written I have written, and I’d better stop before someone shoots me. This is fun just to sit back and watch! Just think: if Catherine had lived early enough to marry John Donne! This was a tough choice! Isaac Watts died 200 years to the day I was born and he wrote “Oh God Our Help in Ages Past”–the Valparaiso University hymn–so I feel a special kinship with him. I knew of Isaac Watts and love his hymns. Sadly, I did not know Catherine Winkworth. I voted for Catherine in thanksgiving for her ministry to the poor and disabled and her gift for her musical gifts. We have a great many entries in this year’s Saints brackets who did wonderful work in reaching out to poor and hurting, so while appreciate Catherine’s work in this regard.. and am happy to learn about her… the direct musical contribution is what moves me to include Isaac in those who are moving on to the next series of choices. There is data that our connection to music and songs goes deep into our souls… such that people deeply into alzheimers actually “come out” as it were, when music they love is played for them…. an amazing gift of God’s grace for us that we don’t always appreciate. SO it’s Isaac for me. Perhaps you, as well as many others, mean “pure poet.” Watts did not write the music, and while many of his texts remain favorites, the chorales associated with Winkworth’s translations are far superior to the tunes associated with Watts’ hymns. But I’m not going pure musician. The work with the poor and the fabulous pun did it for me. But Isaac Watts was not a musician, he was a poet. My vote is for Catherine Winkworth. I admire and respect anyone who can take a song or a poem in one language and translate it into another language that scans and makes sense while not losing the flavor of the original. I checked the Episcopal hymnal that we use currently and discovered there are several hymns translated by Ms Winkworth that I love and treasure for their message. Not that I don’t love Isaac Watts, but I find that the added talent of Ms Winkworth more compelling. His hymn, “When I Survey the Wondrous Cross,” clinched him for me. Also, my younger son is named Isaac. Very close call though. But its Catherine, her puns & causes that win my vote today. How could I not vote for Isaac? First, my congregation sings a variant of his “From all that dwell below skies” every week; who doesn’t sing “Joy to the World” every year? ; and “O God Our Help in Ages Past” is a personal favorite. AND he was a Nonconformist who was (depending on which scholar you ask) either a closet Unitarian or at least sympathetic to Unitarians and opposed their persecution in England by the Anglican Church. As a Unitarian myself, I feel like one of my people (or at least an ally) finally made it into the running! Watts was a big defender of many religious minorities excluded by the Church of England, so he’s not only a hymn writer without whom much of our worship would look radically different, he’s a model for religious tolerance and lifting up faith over denominational affiliation. David, “Like”!!! Thank you. Beautifully written. Catherine’s translation of “Jesu, Joy of Man’s Desiring” was the clincher for me. In earlier years I had wondered who she was and looked her up in the Britannica. No matter how much I like “When I Survey the Wondrous Cross”, her translations have it all over his CM hymns. It is hard to resist a nonconformist. I have been known to lean in that direction occasionally. I voted for Winkworth because of her outreach to the poor and women. The hymns are a couple of my favorites but Catherine gets this round from me. I voted for Catherine but would like to see Isaac in a future Lent Madness as he shaped the faith of so many. “It’s time to tell the truth.” It is, indeed. Pilgrim Gregory, I followed your suggestion and went to Marcus Halley’s blog. Wow! Thank you for the suggestion. Definitely “Like”. Sad to say and hard to admit but I’d never heard of Catherine. In her honor and to make up for my ignorance…oooh! That sounds so harsh! Well, to acknowledge that I now know more than I did due to LENTMADNESS, she gets my vote. Again, we had a tough one but Catherine got my vote. Translating choralea, which I love to hear, overshadowed Isaac’s many hymns, today. I do not understand the tally. Winkworth cannot compare with Watts in terms of spiritual insight, productivity, and legacy. Look at your hymnal. Watts created new hymns, Winkworth merely translated German hymns (some of them superb of course). We are indebted to both but without question Watts has a deeper influence on Episcopalian culture. As a cradle Episcopalian, an important reason I worship in the Episcopal church is its music and language. We should not underestimate this portion of our heritage. I am tempted to think this year’s March madness has a subtle gender bias. Ahh, do not dis translation, it is harder than you would think! But, I went with Isaac too. I mean come on, he wrote “Joy to the World!” As for the gender bias, I think what you are noticing is that people are thrilled that this year’s bracket is at least nearly 50% female, as compared to last years which hardly had any women saints. I don’t know if there are just not as many female saints as males or what, but no matter what it is not good. We do make up half of the population. It is telling to me that 50% female feels like a lot to me. It should feel normal, but alas, it doesn’t. Nevertheless, I agree, go Isaac! Not everyone who plays Lent Madness is Episcopalian. I’m a Lutheran at heart and Catherine Winkworth’s translations first caught my notice when I attended a Lutheran church in my early 20’s. I’m pleased she’s finally getting some recognition. Also, I know this is a minority opinion, but I’ve always found “Joy to the World” grating. I did look at my hymnal, a lot, as a cradle Christian. I saw Winkworth’s name, a lot, but her contributions were never celebrated or explained. Probably I need to go scream into a pillow at the suggestion doing so now is ‘no fair to men’! I love “Joy to the World” but one of the joys of Lent Madness is the opportunity to go deeper into Christian tradition and find some lasts to be firsts for a few shining and maybe even golden moments. Today my vote is for Catherine in gratitude for one of the most frequently sung unsung saints of God! Oh well. There’s been a subtle male bias in the church and most cultures around the world for ummm, millennia. I don’t think we should regret that in this little bit of recreational education, males and females are finally on an equal footing. Count up the numbers of male vs. female Golden Halos to date. Male saints have still prevailed more often than female saints. AARRGGHH! “Winkworth merely translated German hymns…” Please, no! I know I’m going against the grain in voting for Isaac, but you got to love a guy who both appreciates the power of hymns and writes them but also can write an argument on logic. Nonconformist resonates with most saints. Went with Catherine Winkworth initially b/c of my love of Lutheran chorale settings (a joy to sing). She’s represented by 10 hymns in 1982, but curiously that hymnal in its pew form gives only 5 of them in SATB, the remainder in unison despite the great melodies by German and French (Goudimel) composers. Fortunately for me, 655 If thou but trust in God to guide thee, a longtime favorite, is printed in SATB form. Those that aren’t I’ll attempt them if the organist provide a little coaching. Altogether, Catherine has given us pretty respectable number of texts, slightly more than half of Isaac Watts’s 17. But then I read about Catherine’s work *among* the poor, *against* imperial arrogance, and *for* women’s rights. Having come to Lent Madness this morning fresh from a viewing of Prime Minister’s Question Time in the Westminster Parliament’s House of Commons–where angry MP’s from all parties were raising questions about the homeless, women’s rights, British arms deals, and education made sharper by the state visit of Saudi Prince Mohammed Bin Salman taking place today–well, what could I do but vote for Catherine, who undoubtedly would haven MBS a piece of her mind, Prince or no Prince! Gotta go with Isaac Watts, whose hymns prevailed in my childhood at Kenilworth Union Church! A vote for Catherine today. She was a Christian Educator who used her musical gifts to teach and heal the soul as well as caring for those left behind by society. Besides, we all know that those who sing pray twice. Or more depending on number of rehearsal, Sue. Although Isaac Watts wrote some of my favorite hymns, I must go with Catherine for her works for the poor and women, as well as against oppression. From one nonconformist who took a path less traveled for college, my glass is raised for Isaac today .. in goes the vote. Plus, the world could use a bit more joy these days! This was a tough one. It seems that Catherine, who served the poor and women who needed help, is traveling on the tide in this, the year of women. I was going to go with Isaac, because of his contribution to logic in the world, which should be used all the time. The world would be a much better place if more people applied logic to their arguments. But then Catherine’s work with the poor won me over. This morning I saw a video taken of a homeless camp in our area, with terrible, hateful commentary about the homeless. The man actually went into the place where people have found a place to sleep and instead of offering any kind word, acted as though they were a smelly pest control problem. So a saint who went into people’s homes and offered help and comfort hit my heart. At last, the source of “peccavi,” long a favorite. Cynthia, I sat in front of you in church for years. Thank you for that lovely pun. Sided with Isaac because the Episcopal hymnal, including many of his, has a special place in my spiritual journey and that original book title made me laugh at its ridiculous length. I just feel the vote is swayed by the East Coast. I’m in Colorado and by the time I get on to vote, there is a lead but then that lead always seems to win. West Coast folks, maybe we need to vote more. Get out and vote! Please! I am in Indiana. I often don’t get to reading the choices and voting until the evening, so I try to read and make my choice before I read the comments or check who is ahead. Otherwise, I feel I am swayed by the numbers and the comments. And, this week, I was out of state for 5 days (in Colorado) and voted a couple of days late on my chart. It was hard not to read ahead of the results or the comments. Tough choice. Watts has 17 hymns in The Hymnal 1982, but 9 of Winkworth’s translations are in the hymnal (one of them twice, two tunes), including some I really love, like “If thou but trust in God to guide thee,” “Lift up your heads, ye mighty gates,” and “Now thank we all our God.” And then there is her work with the poor, with the stories of those she inspired. And I want to hear more about her. But I’m interested in Watts too. Decisions, decisions. Going with Winkworth. This has been the most difficult choice so far. I so love Isaac Watts’ hymns, and only to a small lesser degree, Catherine Wickworth’s. However, her work among the poor turns her into my favor, so Catherine it is. So sorry, Isaac. A sharp mind, service to the poor, women’s rights, being actively WITH the people she served, in their homes, if they had them, in their daily environment: Catherine Winkworth gets my vote. Having been raised by church musician parents and being one myself for over 60 years, this was a difficult choice. In hymnody, I lean heavily on Watts and Wesley, but was pleased to learn more about Catherin Winkworth and voted for her in hopes that more will learn of her and all her works. Thanks for that, Lucille. I’m a history lover from Freehold where St. Peter’s got shots in the steeple for being Anglican. A tough choice! Even though I adore puns, I voted for Isaac Watts because of my shared enjoyment of music and logic. This was a very difficult vote today, SEC! Took me three hours to decide, but I’m going with Isaac. Both Isaac and Catherine devoted their lives to worthwhile work. However, Isaac stands far above most of his fellow hymn-composers; “Joy To the World” does seem inspired. He was ahead of his time in advocating for education for poor children and for women (thank you, Kim, for that info in your comment). His text on logic was a strong and good influence on other thinkers. And even in his last years, when his health was bad, he continued to compose hymns and write. Catherine’s work with the poor, opposition to colonialism, and authorship of biographies are commendable, but she was one of many and doesn’t stand out among her peers as Isaac does. She did valuable work translating hymns, but on balance I think Isaac’s contributions merit advancement to the Saintly Sixteen. As of 8:12 Pacific Standard Time, Catherine was ahead. I still can’t decide between them. They are both impressive, and I will cheer for whichever wins. Also, today’s winner will go up against Eglantyne Jebb in the next round. A good bit of Catherine Winkworth’s support today has been for her work with the poor, but I predict that Jebb’s work in founding Save the Children will trump that. A match between Jebb and Isaac Watts would be fascinating — kind of a body versus soul contest. I distrust a “proclivity to rhyme,” but I also object to calling a pun in Latin a “meme.” This one is really a coin toss. I voted for Catherine because of her work with the poor. I was more moved by the fact that they wrote her letters than by her translations of German songs. I am struck in today’s match-up by the importance of literacy and universal education. May we take education seriously in this country and provide a quality, safe education for all students. Peccavimus. Some people do have a rhyming proclivity. It surfaces unbidden in our daily activity. But rhyme we must, willy-nilly, nilly-willy. rhyme on oh Silly Ones. I so enjoy your comments. Watts has my vote. 15 hymns in our UMC hymnal all original including Joy To The World. Winkworth’s hymns (only 14) in our UMC were all translations. Watts was a nonconformist by correct reason and logic. What more can be said. I delight in puns, and know that good translating is difficult and important work. But when I survey the wondrous breadth of his work — especially that most moving hymn — the lyric theologian gets my vote. And these days, we are also sorely in need of all the logic we can get! I am no fan of old hymns – it’s the archaic musicality that sets my hair on fire mostly. When faced with having to sing a hymn in church (I stick to the contemporary service), I look down at the credits and think, “surely there is something more relevant to today than something written in 1750….” However, I do love the hymns as spiritual poetry. In light of that, I have had the most fun with Catherine’s collection and have found many a great line to end a note to a friend. Having voted, I must buzz and hit all those flowers and make today’s honey. And with that my vote was decided. I was already inclined to vote for Isaac Watts because in this year’s Lent Madness “just” making intellectual contributions is getting seriously slammed. Also because I actually sing more of his hymns than Winkworth’s. And then I Googled him, and learned what a revolutionary he was. He was troubled all his adult life by physical and psychiatric illness. Yet he hung in there, and as well as a being a scholar and path-breaking author, he was a faithful pastor and charismatic preacher. And apparently also a really sweet guy. We couldn’t have had Catherine’s hymns without Isaac’s. He has my vote. This is incredibly interesting. I wish I had read this before casting my vote. Thank you. You’re welcome! That’s the joy of Lent Madness. I wouldn’t have been moved to learn more about Isaac without it. Thank you THANK you. What a wonderful support of my vote. Thank you, Barbara, for giving Isaac his historical and spiritual context. How funny that he was considered a radical in the 18th century, yet an earlier LM comment today was that his hymns were antiquated and irrelevant. This was another tough one. But since Phoebe the Deacon was defeated, much to my heartbreak, I had to go with Catherine, for her writing about Theodor Fliedner, the founder of the deaconess movement in Germany (which spread to many countries and continues in the lay deaconess/home missioner order in the United Methodist Church). Catherine. I was named after my mother’s twin. Five of us have been named after her. Even her grandchildren named their children after her. She sang in the choir for something like 50 years. And my granddaughter is named after her. She adored each one of us. In her later years she said to me one day that it made her feel better when I was in town, just because I was there. All of us miss her. This is third time I’ve gotten a message that I’ve already posted or something that means that. I’m done commenting. Only for today, I hope. Isaac. He was in the lead right from Isaac vs. Catherine because hanging on the wall of my office (by way of the “Keep Calm and Carry On Page-a-Day Calendar) is a quote from Isaac: “What’s amiss I’ll strive to mend, And endure what can’t be mended.” Added to all the hymns I like and his scholarship, and it was easy to vote for him. Kudos to Catherine for her good works and translations. While ‘Joy to the World’ is a joy to the world, as a disability advocate with a twisted sense of humor, I felt the need to support Catherine. I looked up some of the hymns Catherine translated. Turns out “Decl thyself my soul with gladness” is among them, one of my favorite hymns. Swayed my vote over to Catherine. I own quite a few hymnals (the “newest” dating back to over 30 years ago). When I look in the indices, all of them have more hymns written/translated by 3 people whose last names start with “w” than any others: Watts, Winkworth, and (Charles) Wesley. The later has his Golden Halo! Let’s get the second this year…and then the third! Today, I’m on Isaac. “I have Sindh” is making my head hurt as I try to figure out if it really was opposition to colonialism or simply clever. As Napier has often been credited for the comment, I wondered if there really was criticism behind it or not. Anyone know more? I’m with Isaac. And I wish I had a degree from the Dissenting Academy on my resume. Yes, that would be a great addition to my resume also. Joy to the World and the Right Use of Reason (which we could use more of, int he church and outside it). A quiet revolutionary battling ill health, and supportive of education for all. My vote goes to Isaac Watts. First I was going to vote for Watts, then I was being swayed by Catherine’s work for others. In modern times though, I think Watts’ _Logic_ is badly needed, so I’m going back to him. This was a really hard one for me to choose. I love so many of Watts’ hymns, embedded so deeply in my heart, but Catherine’s work along with her hymnody is a wonderful example of what God calls us to be. Last year on my Christmas cards, I wrote a couple of verses of a Christmas hymn by Martin Luther (From Heaven unto Earth I Come), kind of in honor of his 500th anniversary (still can’t believe he didn’t get the 2017 Golden Halo). One of the recipients jokingly responded, “I didn’t know Martin Luther could write that well in English.” Well, that hymn had been translated by Catherine Winkworth! Just another little nudge for me — I was going to vote for her anyway based on today’s write-ups. “She labored to make sure that the translated songs retained the poetry, rhythm, and meaning of the originals.” I love the German language and have loved Catherine for many years for that reason. The translations, written in an unforced, spontaneous English idiom, are exquisite in their sensitivity to every nuance of the German text. It was in large measure through Catherine’s work that we Anglicans received the priceless gift of Lutheran hymnody and made it so our own that many, I suspect, would be surprised to learn that a favorite hymn sprang from a Teutonic source. Not merely the hymns and their often magnificent settings, but also the peculiar (as in “peculiar honors”) spirituality which they embody, have incalculably enriched us. Oh when the saints in come marching . . .
Silent night, holy night, all ’round yon virgin mother and child is calm . . .
Joy to the world, let earth her king receive, let every heart him room prepare . . .
God ye merry gentlemen rest . . . Yes, the German very catchy is. I have the syntax well gecaught and eager am my translations to begin. This one was tough. I was drawn to the nonconformist in Isaac, but Catherine’s dedication to the poor is what garnered my vote for her. Have to go with Issac. I used to sing When I Survey the Wondrous Cross to my kids at night for a lullaby. (Subliminal indoctrination?) 5 verses and they were asleep! This one was so very easy for me — hands down for Isaac Watts. I already knew him as possibly the second greatest hymn writer in Christian history (after Charles Wesley, of course). But I didn’t know that he refused scholarships and ordination in the Church of England as a “non-conformist” or that he was one the major proponents of the need to include logic and reason in one’s approach to faith. As someone today who both refuses ever to let institutional religion dictate proper thought to me and believes that “reason” is perhaps the most important leg in Anglicanism’s “three-legged stool” or Methodism’s “Wesleyan quadrilateral,” Isaac Watts may be my new personal patron saint. If he makes it through today’s voting, he will probably get my vote through all remaining rounds of this year’s Lent Madness. Wow, this is closer than I thought. 55/45. I tossed around another of the #MeToo candidates, but remembered that Watts texts are the standard by which we ordain Christmas. So, it’s Isaac for me. This was a no-brainer: Catharine gets my vote. Now if Ralph Vaughan Williams had been holding down the opposition, the vote would have had to go for him. Take a look at the 1940 Hymnal. Some of us still use it today. Love them both, but it has to be Catherine since I can’t imagine life without the German chorales! I agree wholeheartedly. I voted for Isaac Watts. “Word of the Father, now in flesh appearing” is angelic. Though I love Watts’ hymns, I had to go with Winkworth, who translated many hymns that I grew up singing in the Lutheran church. And I can’t resist a good Latin pun. Catherine and her passion for education for girls, her cleverness with words and her gift to us of music! To have such an impact on Church music at large, to write hymns that live on in the hearts and voices of so many, and to write words that live on through the education of theologians and philosophers I had to go with Isaac Watts. Catherine Winkworth’s translations and other ministry and social services are very strong but, for me, she was just barely edged out this time. I went with Catherine. For one, “Catherine” is the name of one of my beloved sisters. And, for another, I always lean toward those holy men and women who use their intellectual, spiritual, and musical gifts to glorify God, AND follow Christ’s example by going out into the world and loving their less fortunate neighbors. Plus, in speaking truth to power, Catherine conjured up a wicked pun. Not many can and will do that. But, I do love “Joy to the World,” and deeply honor Isaac Watts, its writer. I hope I get a chance to vote for him in a future Lent Madness contest. Glad Catherine won! Her great compassion & care for the poor & sick made her deserve to win! Aw, shoot. I voted, but have mentally changed my vote 3, maybe 4 times. Thumbs up for long and rambling titles, thumbs up for a good pun, both have great hymns, yea for being a non-conformist and for serving the poor. I grew up Lutheran and those hymns pulled me just enough to secure my vote, but I shall continue to waver. What? Not Watts? One of the greats of hymn writing! While Catherine made a strong contribution in that area , the Weight is with Watts. I love seeing Catherine’s name whenever it appears on a hymn we’re singing! She shows that there are so many possible missions and ministries. I thought that anyone who gave us Joy to the World would be a shoo-in to win. It was Catherine’s intelligence and her work with the poor and others that brought me to vote for her. As the author of some of my favorite hymns I had to vote for Isaac Watts. The words of the hymns that we sing are so powerful and I find that they really enhance my understanding of God’s Word. The hymns are not just a pretty tune, the words themselves could stand alone as poetry. I’m trying to figure out how to ask a question—no luck so far! Is there any place where I can see the winners so far? I missed a couple of days, and I can’t find the results anywhere. I tried asking in a comment before, but I didn’t get a reply that I can find. If you’re looking on a phone it might be different, but at the top of my computer screen are a number of tabs. The tab labeled Bracket 2018 has all the results to date. And I have a question — when I view the vole results, one of the candidates is in bold print, one is not. Normally I’d expect that the one leading at the time would be in bold. That ain’t necessarily so. What does the bold indicate? As I understand it, the one in bold type is the one you voted for. Oh. Well isn’t that clever. Thank you so much! So this was a very tough decision, but since today is International Women’s Day, I voted for Catherine. Not fair! A contest between two roughly equally prominent hymnodists, one an author and the other a translator. I’m going with the one who made puns (or at least one). And some of her translations of the German are among my favorite hymns. Isaac Watts for me. Oh God our Help in Ages Past was my mantra when our daughter was dying of cancer. It gave me comfort even though the battle was lost. I am very sorry for your loss. May you be comforted. Reading today’s comments has been so wonderful as we in NJ languish in snow and thunder and all sorts of weather things. Each time someone has mentioned a favorite hymn or six, I’ve had the joy of playing and replaying them in my head until the next round of shout-outs comes up. It’s been GRAND! Once again, a match-up that might have “gone the distance” had the brackets been arranged differently. Mr. Watts vs Ms. Winkworth would have been an epic final battle. Winkworth for her admirable wit! Tough choice! Love Isaac Watts’ hymns, also the German chorale. Blessings on both the contestants! I picked Catherine–both for her life of service and because it’s my mother’s name. One of the activities my husband and I share with delight is the making and speaking of puns. Both of us devoutly believe that those who criticize us for making puns are just angry and jealous because they haven’t the wit to make them! So Catherine Winkworth had me immediately with her bilingual pun of protest. I have enjoyed singing her translated hymns all my Methodist life. Her work with the poor and advocacy of education and rights for women further convinced me to vote for her. humor means of the worst sinners, you’re nun. My appreciation of both these saints has grown. Thanks to all! Yes, a tough one: what would the hymnal be without either of these. But reading the comments I realized we used Lutheran chorales for both the processional and recessional of our wedding (“Deck thyself, my soul with gladness” and “Now thank we all our God”), and I’m a choral singer, so, Bach and all that. So today, Catherine it shall be. Not to mention her work with the poor. Isaac Watts wrote so many wonderful hymns, but I must vote for Catherine Winkworth. As an English speaking Lutheran, I’ve been greatly blessed by her beautiful translations of the rich German Lutheran hymnody. She has long been one of my heroes.